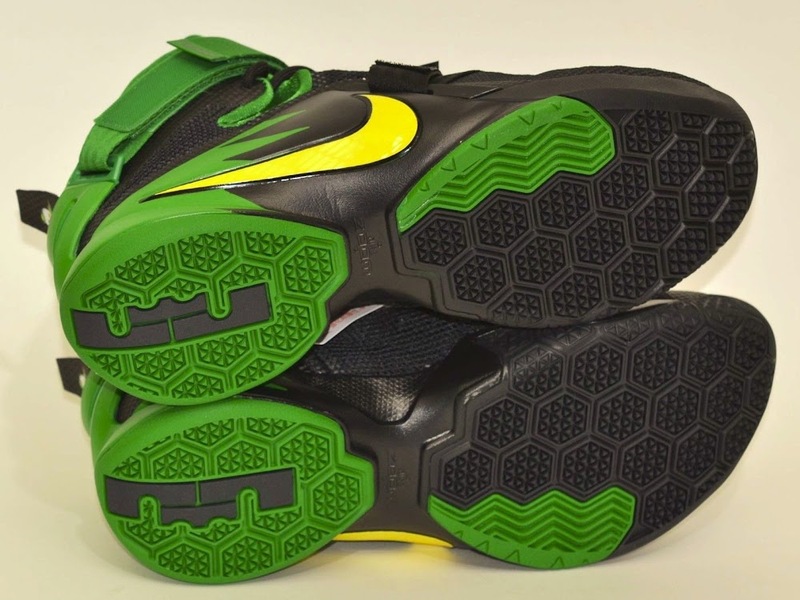 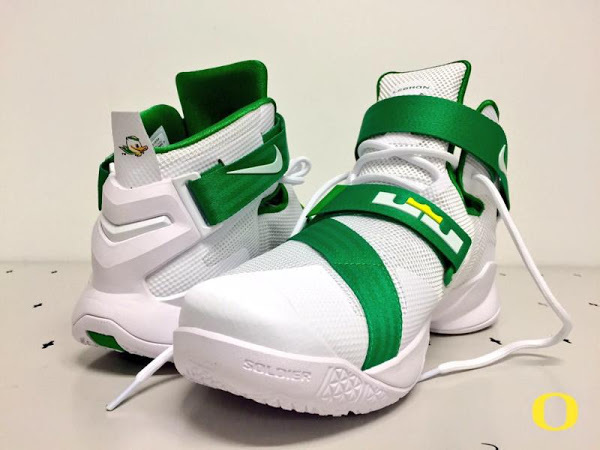 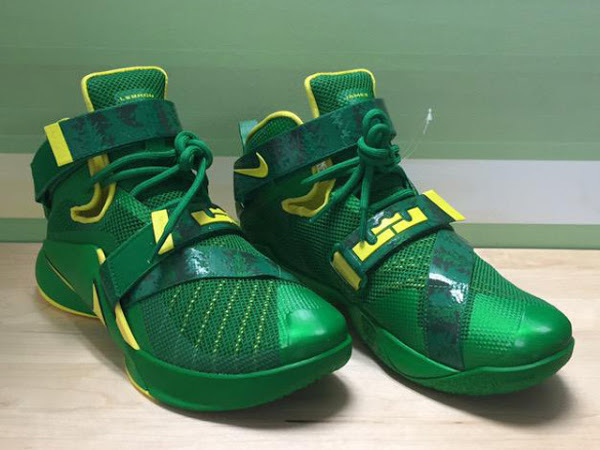 The Oregon Ducks’ basketball players have at least two different PE colorways of the LeBron Soldier 9… one for the Home games and the other one for the Road games. 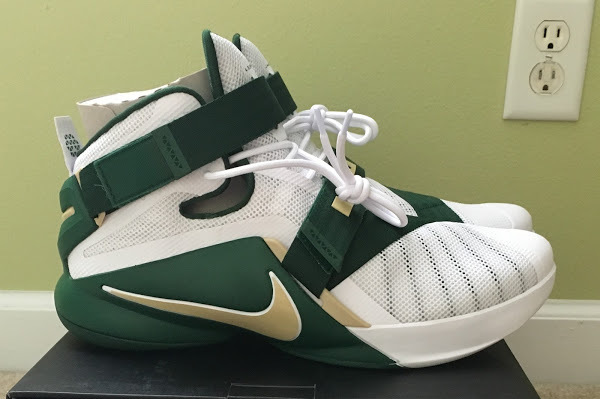 Back in the day, Nike was known to release the school colorways for the LeBron James’ signature collection, from time to time, especially when the House of Hoops initiative has been born. In the recent years there was no such thing. 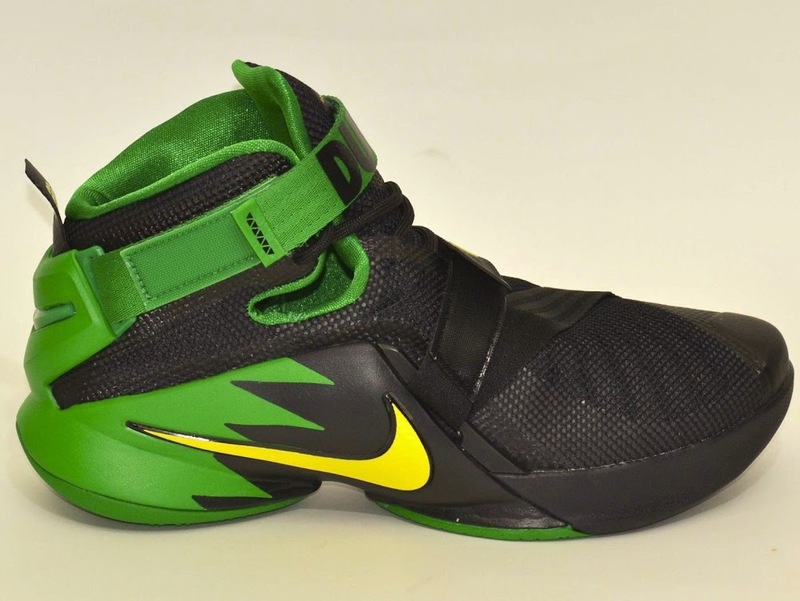 Basically during the whole Jason Petrie era there was only one Kentycky LeBron 9 that despite the lack of the school’s logo looked exactly the same as the Wildcats’ PE. 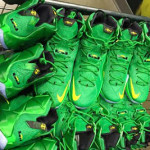 Now seems the drought has ended. 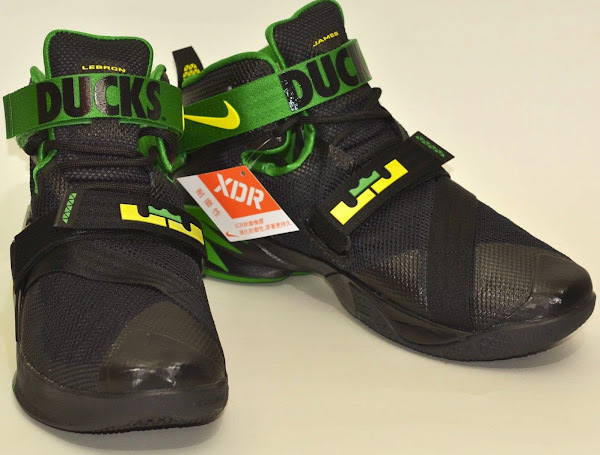 Nike is set to release at least 3 different colorways of the Soldier 9 representing the top basketball schools in the country including the Ohio State Buckeyes, the Kentucky Wildcats and the presented Oregon Ducks. 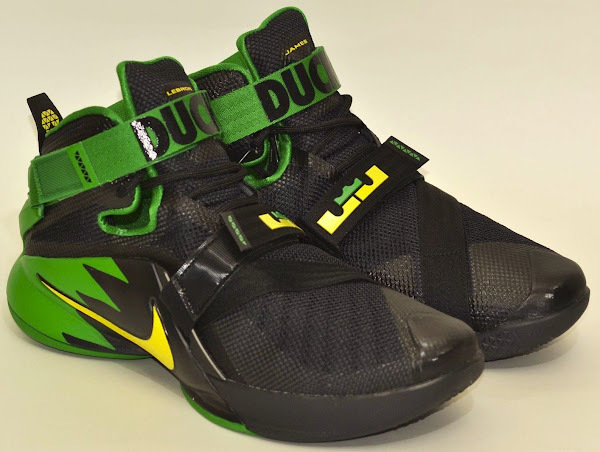 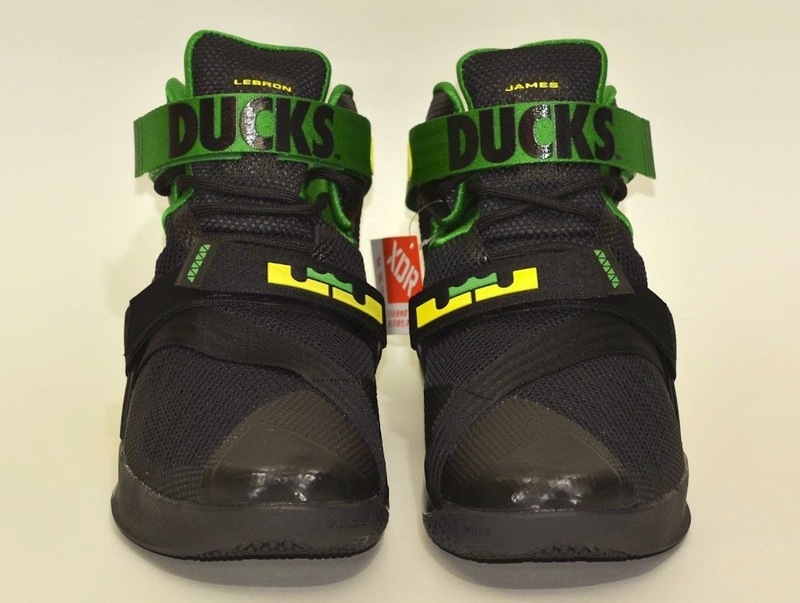 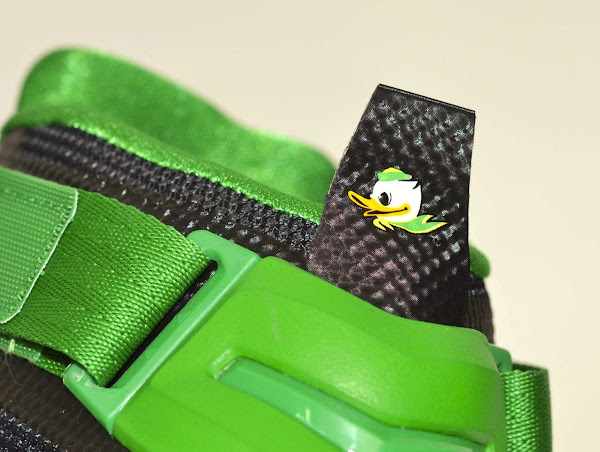 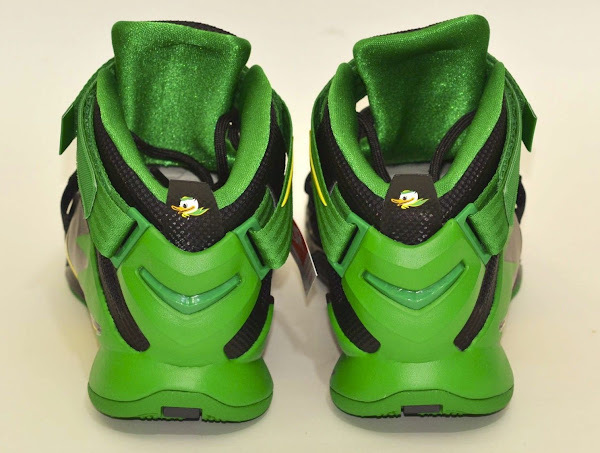 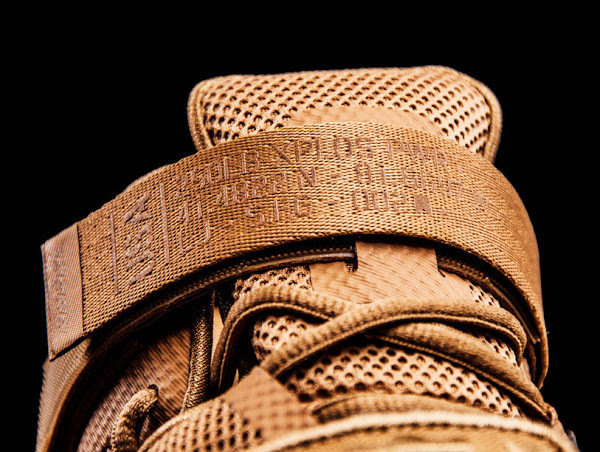 For the Ducks it’s the very first time that a Nike LeBron signature shoe carrying the Quack logo drops at retail.